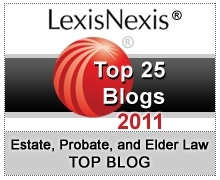 The use of revocable living trusts to avoid probate is common in North Carolina. However, one type of property that is rarely transferred to a living trust is automobiles, since doing so involves a trip to the local DMV office and paying to change the title. The title fee is $40, and a highway use tax of 3% of the value of the vehicle must also be paid. What the title agents often don’t know, however, is that the use tax is capped at $40 for transfers to a living trust. See N.C.G.S. Section 105-187.6(b)(2). There is no use tax at all for transfers to a living trust in which the owner is the sole beneficiary, but this situation is not as common. N.C.G.S. Section 105-187.6(a)(11). Here’s link to the page on DMV’s website that references transfers to a trust. Given North Carolina’s low threshold for requiring full probate – $20,000 for single decedents, and $30,000 for married decedents, it often makes sense to take the time and pay the $80 to transfer vehicles to your living trust. This is especially true if the vehicle is particularly valuable or you plan or keeping it a long time. It could save time, trouble and expense for your loved ones.